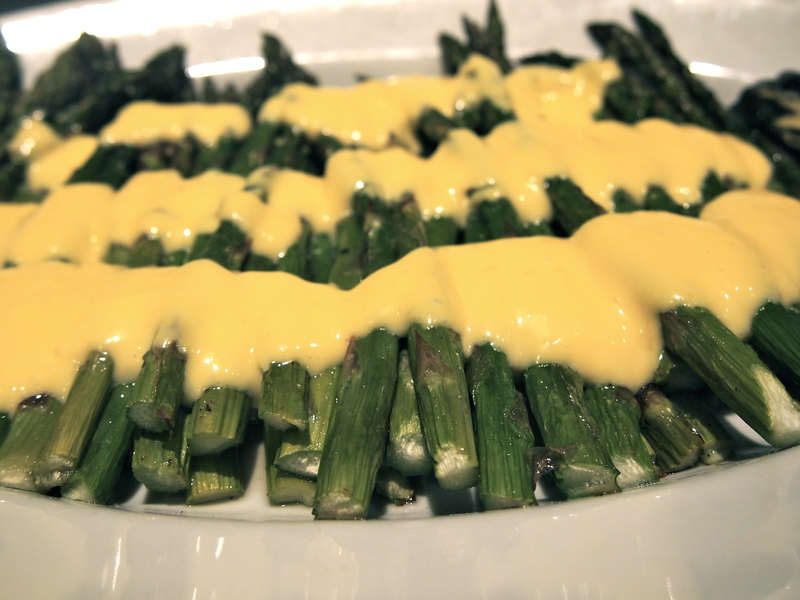 Butter based sauces such as Bernaise and Hollandaise are great recipes to be able to perfect but they can be tricky to get right. For years I battled with split sauces where the butter and yolks separated and even worse, when due to excessive heat the eggs curdled and scrambled. A lot of effort and butter can go down the drain in a matter of minutes and whilst there are some techniques that you can use to bring your sauce back together once it has split or separated, I’ve never had much success with them. So I was determined to find a Hollandaise sauce that was foolproof and this blender method, by none other than Julia Child, is just that. I actually used an immersion blender which I think is just as good but I don’t think a food processor would be ideal. The times I’ve tried this in a food processor the sauce hasn’t come out quite as thick and is slightly runnier. I also can’t bring myself to use quite the amount of butter that is normally called for which can be as much as 250g for 2-3 yolks; I only use half that amount of butter and my sauce has never suffered for it. This technique is so simple and easy that I can’t actually imagine anyone running into any problems. The only tips I have are pretty straightforward ones. Namely to make sure you process the yolks for a good 5 seconds before adding the melted butter; make sure you add the butter in slowly and lastly that your egg yolks are at room temperature. Place the butter in a small saucepan and heat until fully melted, hot and foamy. 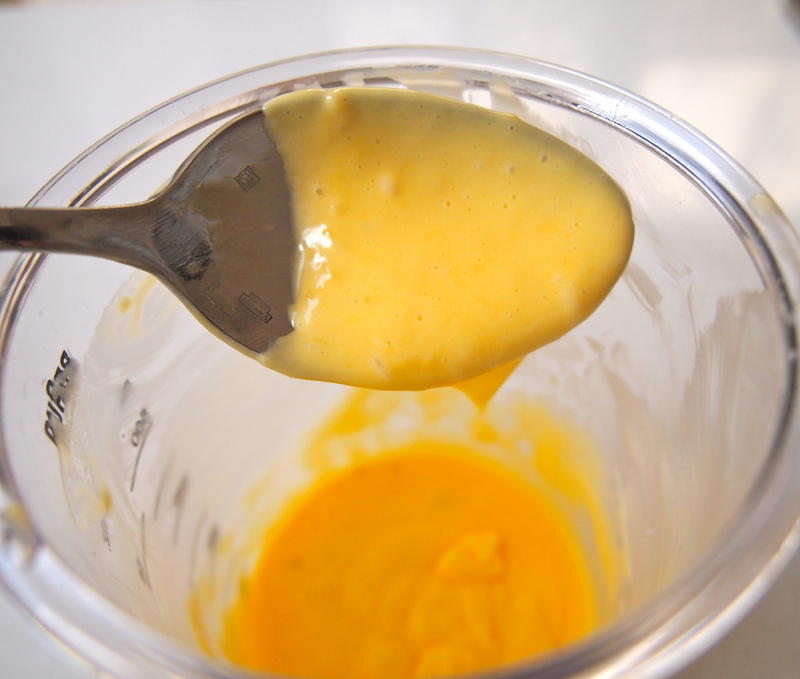 Place the egg yolks in a blender or in a container suitable for an immersion blender. Add the lemon juice, salt and cayenne pepper if you’re using; blend at high speed for about 5 seconds. Then with the blender still going add in the hot butter as slowly as you can. It helps if you can place the butter into a jug to facilitate pouring. As you get towards the end of the butter the sauce will have thickened nicely. At this point you can taste the sauce and add more lemon juice or salt if required. It’s best if the sauce can be used immediately but it can keep for a short amount of time if put into a container of luke warm water.